I have been working on this post since receiving my new "Panda Camo" paracord from Supply Captain a couple of weeks ago. I wanted to publish the designs prior to Alabama winning the BCS National Championship, but once they won I’ve been celebrating and haven’t had time until now. 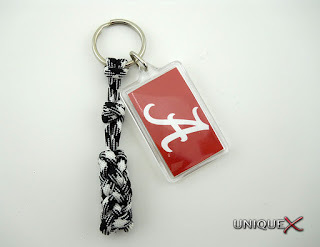 For those who don’t understand why I am using this color paracord to tie Alabama-themed designs, I will explain. One of the greatest coaches in Alabama history often wore a houndstooth hat and I believe that this color is a great match for that design. For those who don’t follow or care about football, I hope you will still find this post useful. 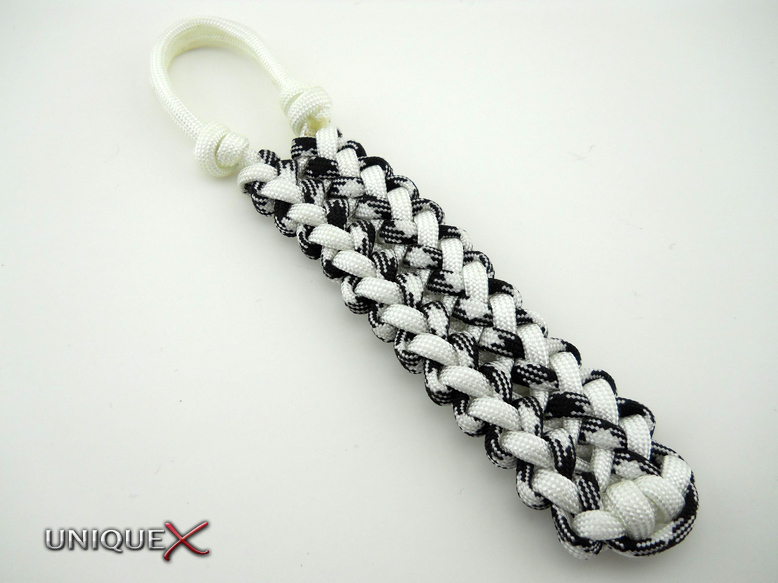 There are several designs in this post, some of which I have tied before and some new and different styles. You’ll notice that I included another Chinese Good Luck Knot necklace, but for good reason. Prior to the Championship game starting, my stomach was in knots and I needed to find some way to ease my mind. That’s when I thought about the Good Luck Talisman I tied for my rear view mirror, if it can bring luck I figured why not give a try. I modified the end result slightly by introducing another strand to the center of the knot. To make a long story short, I wore the necklace for the entire game and I don’t know if it helped, but the other team didn’t score a point. Needless to say, for every future Alabama game, the Good Luck Knot necklace will be around my neck. 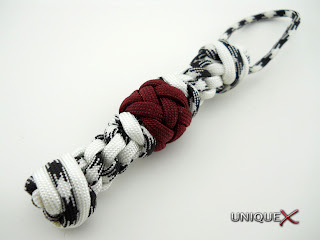 You may want to tie one of these in your favorite team’s colors and see if the luck will extend to you as well. 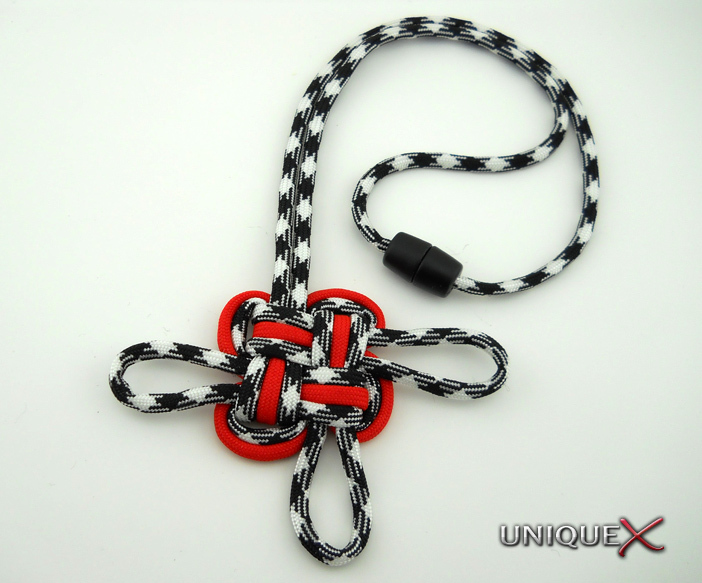 One of the new designs is called the Four Lead Diamond Knot; I tied it from instructions in the Ashley Book of Knots (#790). If you don’t own the book, Amazon offers a preview of the book that includes the instructions located on page 142 (another link in Google Books is available in the Sources and References section). The other new design was tied using several knots; I started with a Crown Sinnet, a.k.a. the Square Stitch. I then added a four strand Matthew Walker Knot over the Crown Sinnet. Continuing down, I tied a Round Crown Sinnet, a.k.a. 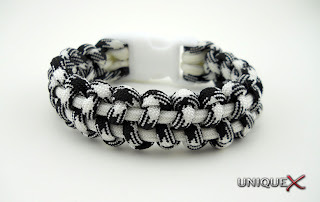 Circle Stitch. Near the middle, I tied a Two Pass Head Hunter’s Knot, which I thought was appropriately named to add to a football team fob. On both ends of the Head Hunter’s Knot, I tied a Wall Knot. I continued tying a Round Crown Sinnet until I reached the desired length and then I finished it off with another four strand Matthew Walker Knot. 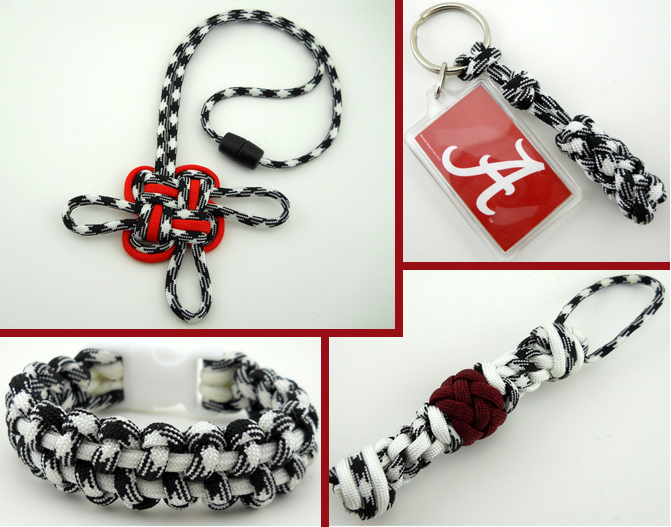 The other two designs are from TyingItAllTogether, the Stitched Solomon Bar and the Wide Zipper Sinnet. Where is the source for the barrel catch on your Good Luck Necklace? Is it magnetic or threaded? @Norm it's actually a plastic "break-away" clasp, I purchased mine online at Lighthound.